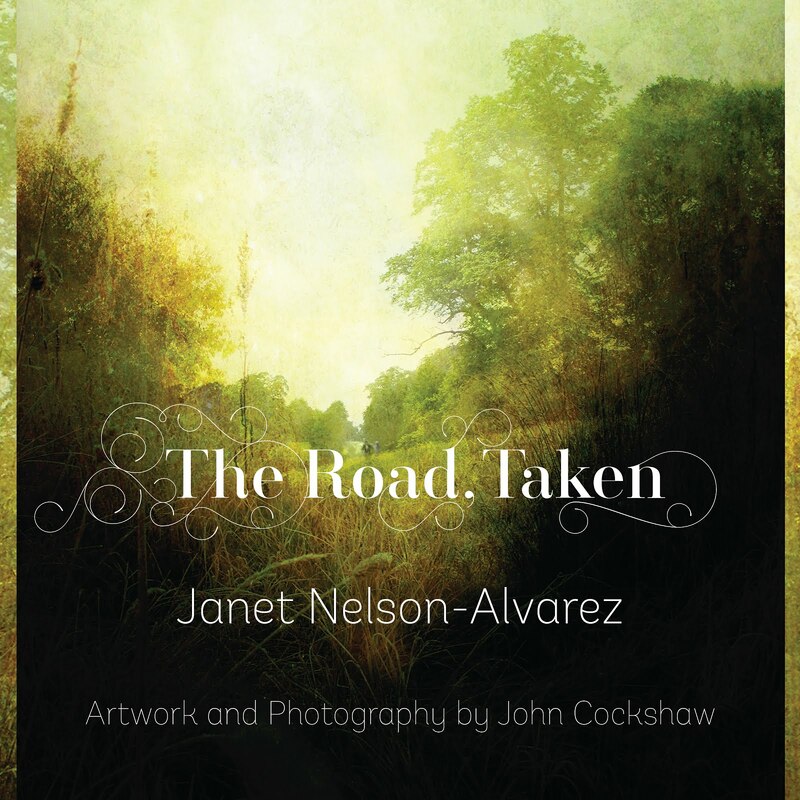 Available WHILST STOCKS LAST as WRATH, RUIN AND A RED NIGHTFALL: The Art of John Cockshaw from Amazon. 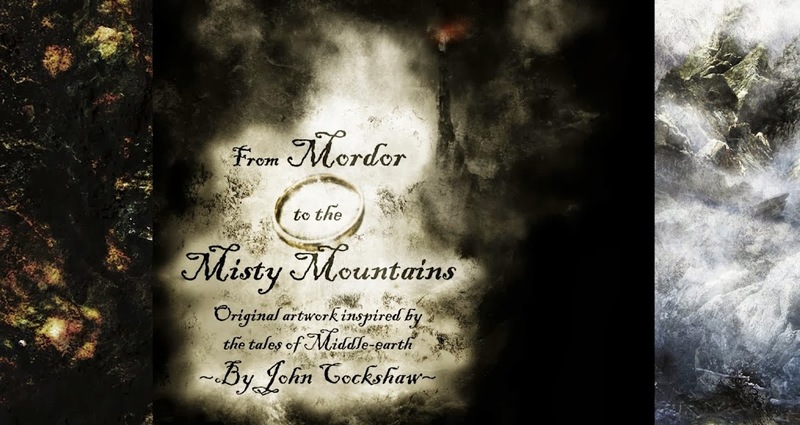 Welcome to the blog and this collection of original artwork inspired by The Lord of the Rings and J.R.R Tolkien's wider mythology of Middle-earth. Aside from the influence of the source writing of Tolkien influence is also drawn from Director Peter Jackson's film trilogy (2001-2003) and the highly regarded Tolkien illustrators Alan Lee and John Howe. 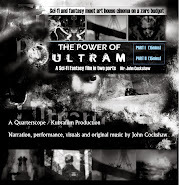 The magnificent musical score written for the film trilogy by Howard Shore also holds a significant influence upon the atmospheric and evocative quality of the works in this collection. From Mordor to the Misty Mountains combines landscape, miniature-scale and composite photography to depict locations, dramatic scenes and characters from the enduringly popular stories. 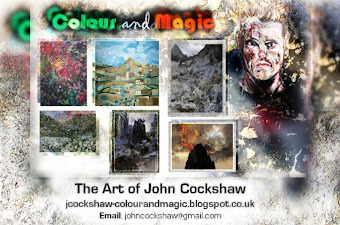 PLEASE NOTE: This blog showcases Artwork (completed and in progress) and related exhibition news. There is NO option to purchase Art through this site at this time. Please visit from time to time as this may well change soon. Twelve Artists. Two venues. A castle. A cathedral. A love of Middle-earth. Newcastle-Upon-Tyne. The months leading up to September this year were extremely busy with planning and discussion between a horde of artists and organisers for an exhibition that I had the good fortune of having a prominent role. It was an exciting time and an exciting exhibition too. 'ILLUMINATING TOLKIEN: An exhibition of Art and Illustration' was the show that resulted. 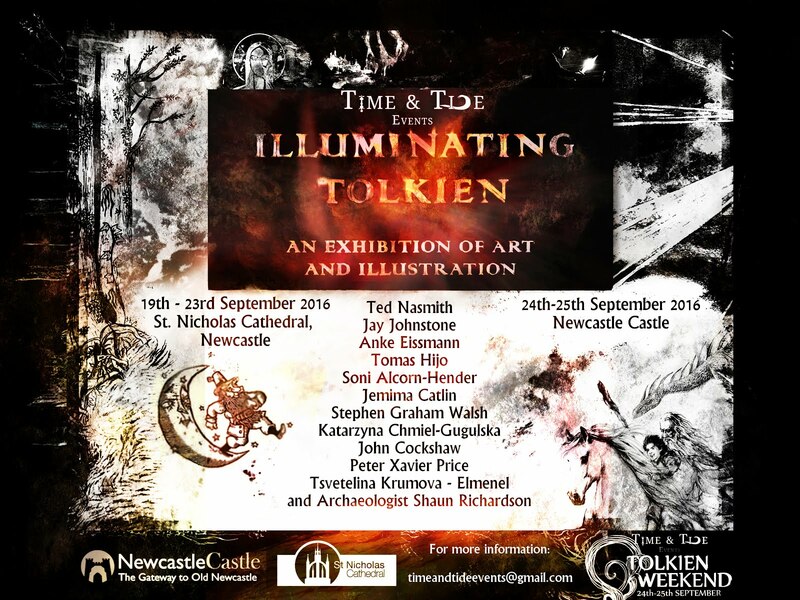 In partnership with Time&Tide Events, a Gateshead-based events team (and Tolkien enthusiasts), we worked to a plan of putting on an exhibition inspired by Middle-earth to feature at their second annual Tolkien Weekend event in Newcastle. 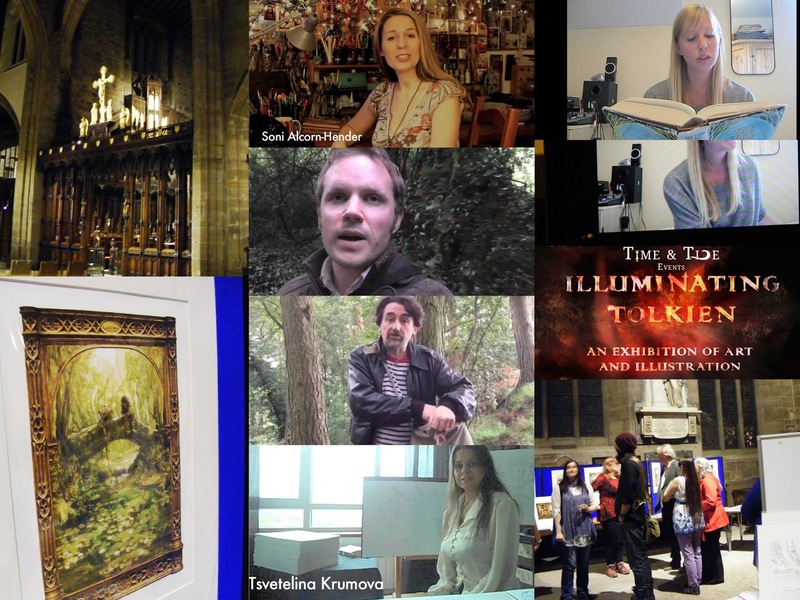 The first Tolkien Weekend in September 2015 attracted an impressive footfall of visitors and even gained (surprisingly) coverage of BBC's Songs of Praise. For 2016 Time&Tide managed to attract the attention of JRR Tolkien's great-grandson Royd Tolkien as guest of honour. 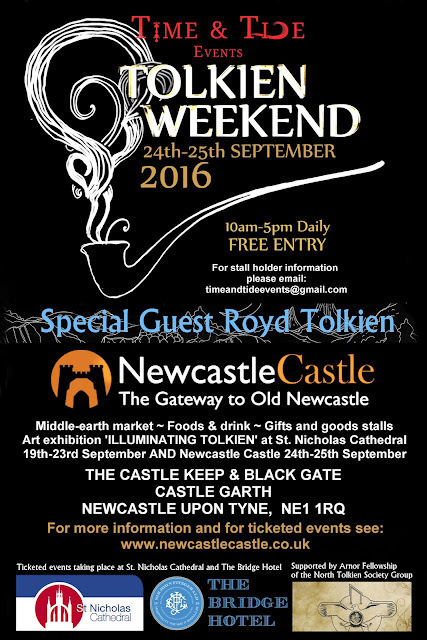 Over the course of one week, 19th-25th September, the show was installed at two venues in Newcastle city centre; St. Nicholas' Cathedral and Newcastle castle. 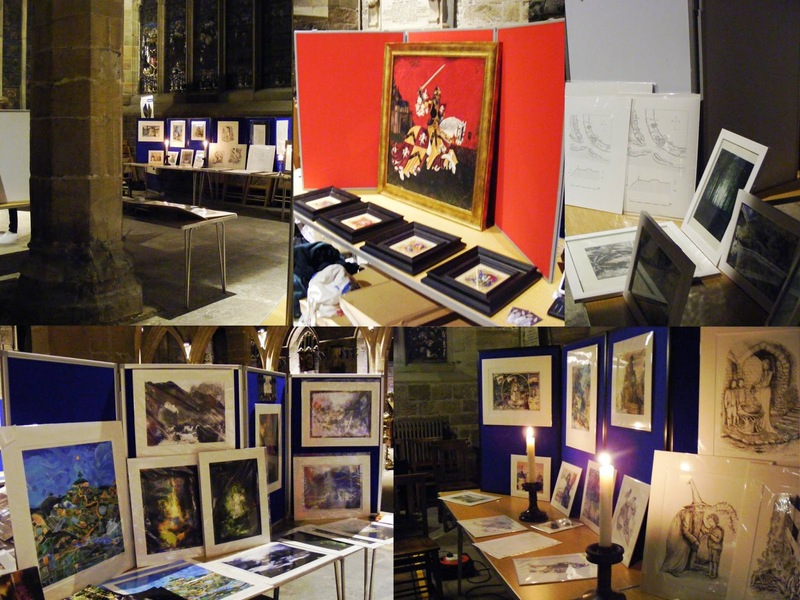 The exhibition opened with the preview night on the evening of Monday 19th September. The Artists on show: John Cockshaw, Jemima Catlin, Tomas Hijo, Soni Alcorn-Hender, Jay Johnstone, Anke Eissmann, Ted Nasmith, Stephen Graham Walsh, Katarzyna Chmiel-Gugulska, Peter Xavier Price, Tsvetelina Krumova and Archaeologist Shaun Richardson. Of particular note was the appearance of recent Official HarperCollins illustrator Jemima Catlin. 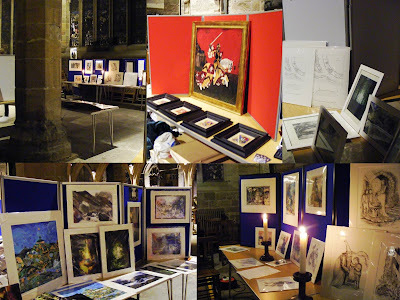 Catlin's illustrations graced the 2013 edition of 'The Hobbit' and it was a joy to have Jemima accept the invitation to exhibit with us, and most of also exhibited at The Tolkien Society's Oxonmoot earlier in the month. Archaeologist Shaun Richardson joined us again too, and being the third time of involving Richardson in an exhibition project it was a pleasure to have his unique Middle-earth inspired survey drawings grace the show. The array of art on show was quite incredible and as many of the artists were too geographically out of reach to attend the show we were able to put together a greetings video to give some of the artists a chance to say "Hello" and attend the exhibition in spirit. Copyright for all displayed images belongs to John A Cockshaw. Picture Window theme. Theme images by merrymoonmary. Powered by Blogger.